Solar energy is increasingly in the news these days, and many may wonder how (or if) solar power can directly benefit their homes and families. 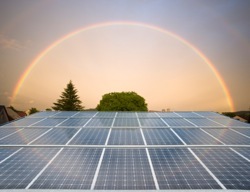 What are the real advantages of solar energy for the average homeowner? How much does it cost? Can I afford it? Can I really use solar power for my home? By the time you’ve watched the Getting Started DIY Solar Panel Video and read this article, you’ll have answers to these questions and much, much more. Yes. With basic tools and a step-by-step guide, homeowners can build a solar panel system using readily available parts and materials. Tens of thousands have already done it. And many thousands more, while perhaps less resourceful, have installed residential solar energy systems with the help of local solar installers to realize the cost savings and peace of mind that come with having your own home solar energy system. Why make your own panel? Making and installing your own panel will reduce your energy costs and provide increased independence from your utility company. You can get the advantages of producing your own power from the sun at a fraction of the cost of going “full retail” for a solar power system. And you’ll be on the cutting edge of the new energy economy. You’ll save money and contribute to a sustainable future. It can be a rewarding and empowering experience as you gain confidence in providing security and independence for you and your family. Do you need special skills? You should be confident using basic construction tools and performing simple wiring and soldering tasks. As mentioned in the video, “if you can build a birdhouse, you can build a solar panel,” But if you’re not much of a handy man or woman, you may want to enlist the help of a friend or spouse that is. With proper guidance, almost anyone can build a solar panel. With the aid of step-by-step tutorials, building a homemade solar power system is easily within reach to the average homeowner. Let’s face it, we’re in tough economic times right now. The worst many have ever seen. Making ends meet is an ever greater challenge for most of us, with fewer options available to cut back on expenses. We all have the necessities in life, food, shelter, education, health care, electricity and more. It’s tough to know where to cut corners. On top of all this, we all hear more and more of the looming energy crisis and the prospect of rising energy costs. It seems as if we are beholden to energy companies and foreign countries for our most basic energy needs. But that doesn’t need to be the case. At least as far as electricity goes. 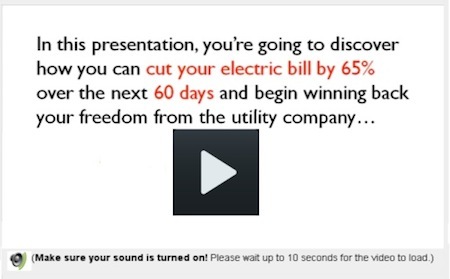 As you’ll see when you watch the video, almost anyone can begin to cut the cord of dependence on foreign oil and large, faceless utility companies for much less time, effort, and money than most expect. Do-it-yourself solar panels can your electricity bills by 65 percent in as little as 60 days. And it isn’t just hype – people are doing it everyday. But there is another great thing about solar energy, one that helps pave a sustainable future for your children and their children: a healthier environment. Coal is essentially solar energy stored over eons of time, and released in a messy, dangerous, toxic, climate-altering sort of way. According to the most recent (January 2011) report from the Energy Information Administration, coal-fired power plants contributed about 45 percent of the electricity generated in the United Sates. But pollution from those coal plants produces 93 percent of the sulfur dioxide and 80 percent of the nitrogen oxide emissions generated by the electric utility industry. Some 10,000 tons and 10,200 tons respectively, spewed into the atmosphere every year from coal-fired powered plants, along with more the 3.7 million tons of CO2, 125,000 tons of toxic ash, arsenic, and a host of other dangerous pollutants you’ll find listed in the video – and this is for just one typical 500 megawatt coal plant! And there is something you can do about it. A way to economically harvest energy from the sun – directly, cleanly, and reliably. Otherwise, the abundant energy streaming down from the sun onto your house is simply wasted. If you’ve already looked into solar power, you’ve probably looked at a retail option – and you’ve probably thought that you just couldn’t afford it. With the cost of a full retail solar system for an “average” house costing $20,000 or more, you probably can’t. Even so, and a good thing for the environment, demand for residential solar energy is growing – but that makes the economics and practicality of installing a retail solar system even more of a challenge. With a home-built solar panels, you can cut that cost to a fraction of the expense a full retail solution. One reason is the cost of the solar panels themselves. In the video two solar panels are compared, each using the same quality solar cells and producing the same power output of 123 watts. The panels are functionally identical except that one is a typical retail panel and the other is homebuilt. The only real difference between the two panels is the cost. The retail panel will cost you up to $969 or more. The homebuilt version costs about $120 or less, depending on how “fancy” you choose to make your solar panels. Even if you decide to hire professional help installing your panels and (as we recommend) using a certified electrician for the final wiring into your home’s electrical system, watt-for-watt you’ll save tens of thousands of dollars building your own solar panels over a retail option. 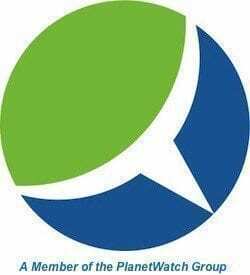 Your return on investment will be months instead of years or decades, and you’ll be in charge of your family’s energy future, not some faceless utility company or expensive solar retailer. What will you use the solar panels for? Your home? A workshop or RV? If for your home, will the panels offset a portion or all of your current utility-fed power? Determine your needs and size your panels – After you’ve decided what the panels will be used for, you’ll need to determine how much power you’ll need to generate and how big to build your solar panels. Buy the right solar cells – This is where it all starts. Use quality backer material – As with your solar cells, you don’t want to skimp on your panel backer board. The backer is the hardest part to replace, and you’ll save money in the long run constructing solid backer board in the beginning. Let a qualified electrician do the final wiring – Like we’ve already mentioned, you’ll need an approved electrician to do the final tie-in of your solar panel system to your home. Of course, the cost is well worth it. Another upfront cost that will lead to ongoing savings in your energy bill. Much of the tools required for do-it-yourself solar panels you probably already have. If you’re building your panel frame out of wood, you’ll need a hammer, saw, drill, stainless steel screws (are best), screwdrivers, sand paper, pliers, scissors – your basic homeowner tool kit goes a long way for building solar panels. Soldering iron and solder – a low wattage iron is best for our purposes here. A high power iron can get too hot when working with the relatively fragile solar cells. Multimeter – this doesn’t need to be a very fancy or expensive device, but you do need to make sure you can measure both volts and amps. Caulk gun and caulk – Caulk makes a great flexible adhesive for attaching your solar panels. Eye protection – Every good carpenter knows to use eye protection when working with power tools. It’s also a good idea to wear eye protection when soldering. What the heck, just wear protection at all times while working on your solar panels. I’m not going to sit here and tell you that do-it-yourself solar panels is the right solution for everybody. Obviously that isn’t the case. Our point here is that it may be real option for many people that have never considered it before, or are serious about getting into solar power but have been scared away by the high cost of retail. One thing is certain, we are well on our way into a new century in which will dawn a new energy economy. Though the road ahead is still long, we are well on our way and the sooner we get there, the better off the world will be for future generations. Home solar power can really be a win-win-win. With solar panels that you build yourself you can gain an economic advantage now, gain greater energy independence now, and help pave the way for an environmentally sustainable future. Click here to watch the instructional video and learn more. Interesting. I knew panels were fairly basic, but didn’t realise you could simply by the cells yourself so cheaply. When I buy a place I’ll probably get a smart meter installed that allows for me to continue to increase panels as my own pace and work from there. My only question would be, what would suit as a good covering? 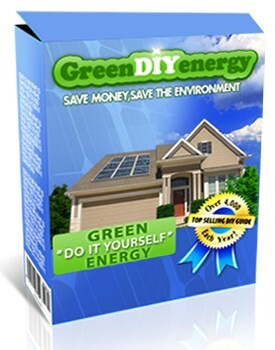 I don’t think a lot of people know how easy and inexpensive it is to build your own solar panels. It’s a great way to get into the solar energy game. And the ultimate goal being someday hooking up to the grid, using less power than you contribute and getting a check each month from the electric company! Solar power energy has a lot to offer to man than any person can imagine. This solar power energy is realized courtesy of the sun that rises every day oblivious of the niceties that falls in its wake. This solar power energy when well harnessed fills the inadequacies of virtually every human being on the planet Earth. I think this is great and maybe at some point of time I am going to try to build one, too. At the same time, I think reducing the power usage is also going to help when one is on solar panel. The most saving I can think of is the lighting energy. Choosing LED lights along with solar panel will be a real win win. I don’t have a solar panel yet but I have started replacing some bulbs with LEDs and they are great in saving energy. The quality of LED lights have improved a lot. Big company like Philips, GE, Sylvania are having new LED lights every 6 months, and small company like Tuwago, Nexxus are also putting out wonderful lights that often outperform the name brands. Very interesting site and information. I had installed just a year ago a commercial 5.2 KW solar system on the roof of my house in North Georgia. This information is very worthwhile, as I’m interested to extend the size of the installation, if finance will work out. Thanks for the comment. I’m glad to hear you’re using this information. Please let us know how things work out with your expansion plans! Wondering how easy and creative one can be building your own solar panel!.thanks for the great article. Great article, solar power is brilliant and it is good that so many people are starting to use it. With there being such a greater interest in ‘going green’ alternative energy sources are becoming more and more popular, from heat pumps to biomass boilers. 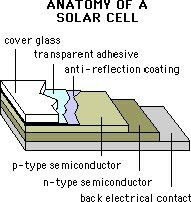 Your organization is doing a good job.I am working on how to build a local solar panel using:sand,cement,black paint,electrodes and cables.I want to know if you have done something like this before. Thanks for your comment. We haven’t yet built a solar panel as you describe. If you do, let us know how it turns out! This time I’ll use Inplix instructions to make it by myself.